After receiving several positive emails about MDS CPA Review, I decided to contact Steve Martin, the President and main instructor of the course. He was kind enough to give me full access to the REG section of the self-study course to assist me in doing a thorough and complete review of his course. 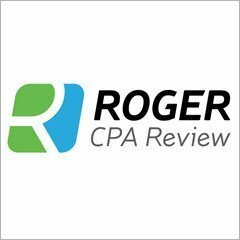 Steve was a former instructor and editor for Becker CPA Review and even wrote and recorded REG, FAR, and Audit classes for them. 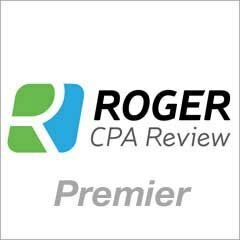 He has been a CPA review instructor since 1985 and when you watch his video lectures his knowledge and experience definitely stand out. He is currently assisted by one other instructor and offers live, in-person classes at the Ohio Society of CPA’s facility in Dublin, Ohio which is just outside the state capital of Columbus. One of the biggest strengths of this course is Steve’s easy to follow and engaging teaching style. He focuses on helping you understand the concepts that are important and doesn’t get hung up on trying to teach you every little detail. His experience teaching CPA candidates for almost 3 decades plays a major role in his ability to explain things in a very clear and concise manner. 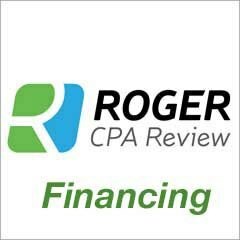 His videos are slightly more entertaining than Wiley CPAexcel, but not as lively as Roger CPA Review, so I feel like it’s a nice middle ground. Digital slides of the textbook appear on the screen as he teaches to help you follow along. He uses a variety of colors to highlight and underline the text on these slides as he goes over them which is an effective way to engage you in the topic and help you avoid outside distractions. The practice exams are formatted just like the actual CPA exam which helps candidates become familiar with the computer module and various tools they will use at the testing center. There are 5,000 multiple choice questions in the test bank which is comparable to other major CPA review courses. The homework software lacks analytic tools to point out the topics you score well on versus topics that you need to improve on. You are given a test score at the end of each practice exam, however, there are no statistics or performance charts to break down your score into subsections. MDS CPA review consists of 72 lecture hours which is considerably less that the 100+ that most other review courses provide. 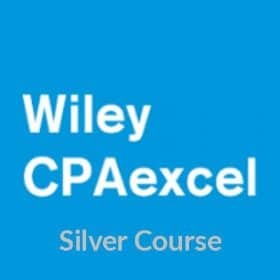 This seems that the course might not be comprehensive enough, however, Steve says he chooses to focus his lectures on the most relevant material that is likely to be tested on rather than cover every minute detail which can often bog down a CPA candidate. I really like Steve’s approach to the CPA exam and how his lectures were both engaging and easy to follow. After speaking with him several times I can tell that he really cares about his students’ success and that he is passionate about teaching. The software lacks many of the analytical bells and whistles that other review courses offer, however, many of these metrics are for show and provide little substance to the user. I would recommend MDS CPA review to any student who prefers a more “get to the point” approach that focuses on the important material rather than try and cover every possible topic.